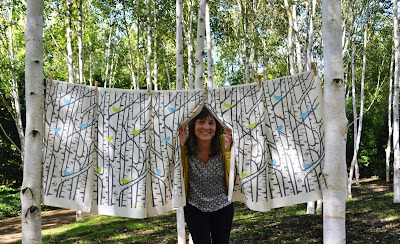 I am thrilled to announce that the shop at Anglesey Abbey is now stocking some of my designs. This week they took delivery of my tea towels and coasters. When I designed my first range of tea towels in October 2011, based on the beautiful stand of silver birch trees in the 'Winter Walk', I always hoped that one day they would stock them in their shop. Now they are! The National Trust are changing the way their shops look, so they have more products that are made locally to the property. This makes the shopping experience more interesting and helps support local businesses. I was approached by the manager this summer, who spotted my entry in the Cambridge Open Studios guide book. She visited my studio in July and saw my selection of designs. After some paperwork and confirmation of the designs she wanted, I was able to deliver everything this morning. 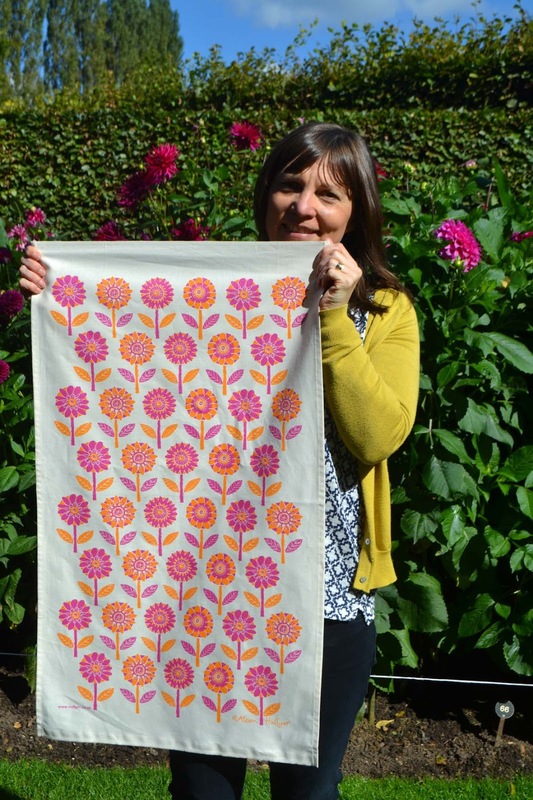 They also have my Flower tea towels based on the colourful dahlia garden which is in full bloom at the moment and the Goldfinch, Bikes and Woodland designs. Plus a selection of 11 different coasters that customers can 'pick and mix'.